Posted August 20, 2018 by Charles Morris & filed under Newswire, The Infrastructure. A new report from non-profit think tank Next 10 explores how the power grid might be challenged or helped by the rise of EVs. Two related reports look at the effects of distributed energy resources such as rooftop solar panels, and of Community Choice Aggregators, a growing local alternative to investor-owned utilities. According to Next 10’s report, “Electric Vehicles and the California Grid,” the state’s grid is well placed to handle rapid adoption of plug-in vehicles. Next 10 finds that energy demand is only modestly increasing as plug-in sales increase. The California Energy Commission forecasts that 3.9 million plug-ins would add about 15,500 GWh of charging demand, equivalent to around 5% of California’s current total annual energy load. Furthermore, the authors’ analysis shows that if California were to move to smart charging of the 5 million plug-in vehicles that the state hopes to have by 2030, it could help reduce the amount of curtailed renewable energy by 50% in 2025. 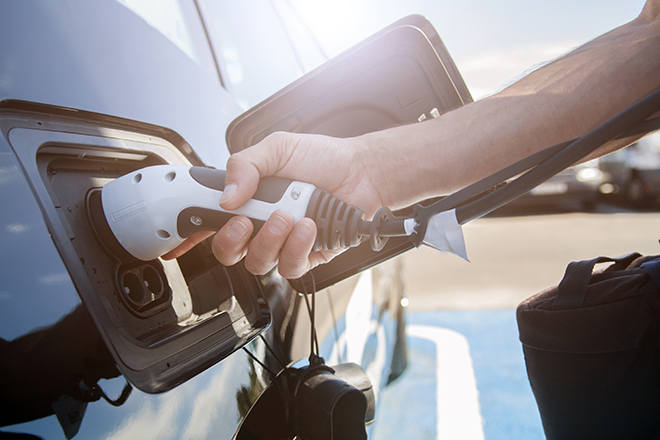 According to the California Public Utilities Commission, flexible EV charging can generate resource cost savings of $100-200 million per year for the power system.